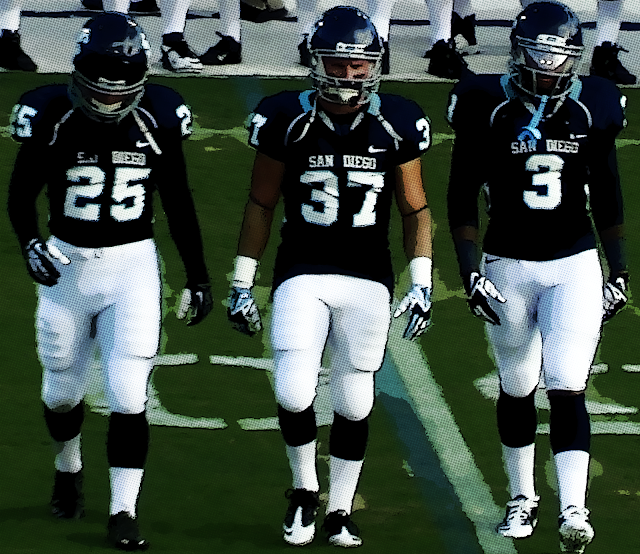 Visit USDToreros.com for tickets or live broadcasts. For the third straight game, the University of San Diego Toreros will face an opponent playing in their season opener. With three weeks of college football already in the books, Harvard will finally kickoff its 2013 campaign this Saturday at Torero Stadium. It will be their first game in California since opening the 1949 season with a 44-0 loss to Stanford. In his 20th season as the Crimson's head coach, Tim Murphy returns 15 starters from his 2012 team that finished 8-2 (5-2 Ivy League). With a 95-24 record since 2001, the Crimson currently holds the best winning percentage (79.8) in the Football Championship Subdivision during the last 12 years. "They do not beat themselves," said USD head coach Dale Lindsey. "You have to go in, outplay them, and be more physical than they are." "They’re very well coached, and very disciplined." The first time these teams met was last season with the Crimson pulling off a 28-13 win at Harvard Stadium. The Toreros led 13-7 in the fourth quarter, but couldn’t hold on after giving up 21 unanswered points. "We played 52 minutes, but the last eight killed us." said Lindsey, who served as the defensive coordinator. "So we've got to learn to finish the game." The Toreros come into this game ranked 11th in the FCS in total offense. With protection from his all-sophomore starting line and one-two punch fullbacks, senior quarterback Mason Mills threw for 543 yards and five touchdowns during the first two games of the season. Reggie Bell leads the receiving corp with 12 catches, 214 yards, and a touchdown, but Mills can also count on Sam Hoekstra (10 rec, 181 yds, 1 TD) and Brandon White (7 rec, 63 yds, 1 TD) to make plays in the passing attack. The ground game will feature a random rotation involving Joe Ferguson, Kenn James, and redshirt freshman Bug Rivera. On the latest episode of USD's "Behind the Cape" series, coach Lindsey confirmed that sophomore Dallas Kessman had surgery last week and will miss the rest of the season. The Crimson defense will be anchored by senior linebacker and team captain Josh Boyd, and explosive defensive tackle Nnamdi Obukwelu. Harvard's roster also features former Olympian standout Asante Gibson, who is listed as a backup safety. Senior linebacker Zach Devaney leads the team in tackles with 17. The Torero defense recorded five sacks so far this season with senior defensive end Blake Olairo collecting two. When senior team captain Robbie Beathard isn't leading his band, he's leading the Torero secondary as the starting strong safety. True freshman cornerback Jamal Agnew is also contributing with 15 tackles and four pass breakups. After averaging an Ivy League record 39.4 points per game last season, the Crimson offense loss their leading passer, rusher, and receiver due to graduations. Their new signal caller will be junior Conner Hempel, who makes his first collegiate start this week. Senior tight end Cameron Brate will most likely be Hempel's top target. Brate was the team's second-leading receiver last season with 41 catches, 592 yards, and six touchdowns. Pioneer Football League teams have a combined 2-22 all-time record against the Ivy League. The Toreros own both wins after defeating Yale in 2005 and 2006.